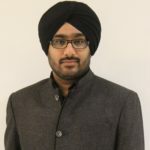 Baljeet Malhotra is Vice President of Research at Black Duck Software and leads Black Duck Software Canada, a research division of Black Duck. Previously, he was Research Director at SAP, where he derived IoT standards strategy. Before that he was a Computational Scientist with the Earth Observation Systems Laboratory and a Senior Software Engineer at Satyam Computers. He holds a PhD in Computing Science from the University of Alberta. Baljeet did his post-doc work at the National University of Singapore. He has published numerous scientific reports and patents. He was NSERC Canada scholar during 2005-2010, and awarded Global Young Scientist by the Government of Singapore in 2011 and 2012.